President's Day is around the corner! Can you believe it's already January 31st? I can't! Time is certainly flying! Time to organize your resources for February! One of our latest products is a President's Day Bundle! This bundle combines our Washington and Lincoln resources with some President's Day activities added! One of the more popular pages is our Venn Diagram comparing Washington and Lincoln. 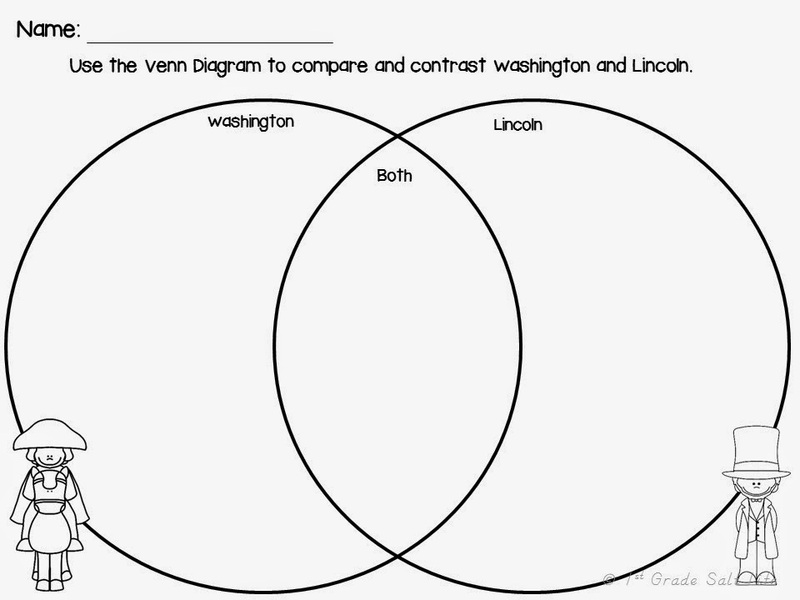 You can find this FREE page here Washington/Lincoln Venn Diagram ! It's a THANK YOU for stopping by my blog! There are so many great events in February to celebrate! Valentine's Day, President's Day, and Black History Month! Please stop by my blog1st Grade Salt Life Blog! Do you have a great February Resource? Please share below and join my linky party!